when these anims had been requested the first time i thought of making them but then decided against it. now kinetusimpetus requested them a scond time and i though "why not? it would be cool". 1. Go to the BF2_ModTools\assets\Animations\ folder and copy the munge.bat clean.bat and munge_subdir.bat files. 3. Open the munge.bat (rightclick->edit) and delete all lines except the first three 4 lines. 4. Change the "human0" entry in the "@call munge_subdir.bat SoldierAnimationBank\human_0" line to the name of your new animset, ill call it "elite". 5. Open the "SoldierAnimationBank" folder -you will see a folder called "template" inside- rename it to "elite". "@call ..\munge_animation.bat "/keepframe0 /dest aalya.zaf" Sides\REP" rename "REP" to the side you want to munge your animation to. 8. Now go to the "BF2_ModTools\assets\Animations\SoldierAnimationBank\human_0" folder, copy the basepose.msh file and paste it in your "elite" folder. 9. Copy and paste the animations which came with this pack also in the "elite" folder. "elite" determinates the animationset, if you name your animset differently you have to rename the prefix of all animations. (other animbanks are tool,meele,bazooka etc.). "stand" is the posture, battlefront knows four postures: stand,standaler,crouch and crouchalert, the animposture is used after a wepon was fired. "runforward" is the name of the state in which this animation is played. (other states are idle_emote,shoot,reload,jump etc. ). and the "upper"-extension defines for which part of the body the animation is applied in this case its the upperbody. usually only the "upper"-, and "full" or no extensions are used. if you use "upper" the lowerbody will use the stock animation for this state. "elite.zaabin" in the "munged" folder of the side you've choosen. 12.Open the odf of the unit you want to give the the new anim and write "AnimationName = "elite""	under "[Properties]"
13.Munge your map and enjoy the new animations! (humanX_...) for all animations that arent included in your customanimset. -If you want to put anonther animationset in the hirarchy between the "human_X"- and your animset, write it behind you customanimset in your odf. E.g. "AnimationName = "cloneassassin aalya"" this unit will look in the aalya animationset if it cant find an anim in the "cloneassassin" set. if you use them you have to credit me! -Whoever requested such anims the first time (I cant remember the name). -kinetosimpetus for requesting the animations. -Gogie for writing the unitanimation tutorial. -Manderek for wanting to get doublepistolanimations ingame. -Digital Tutors for some usefull informations about animating. -Everyone who helped me with XSI. -The whole Gametoast community for doing what they do. Last edited by DarthD.U.C.K. on Tue Sep 01, 2009 1:17 pm, edited 3 times in total. THIS. This is PURE awesomeness. DEFINETLY using this! THANKS SO MUCH! does anybody mind taking a small vid of the "updated" anims? I take it that there are no crouching animations? Still, this is very impressive. It's nice to have a new animation option for modders. Taivyx wrote: Still, this is very impressive. It's nice to have a new animation option for modders. This is awesome! Thanks a lot D.U.C.K.! Wow. That's awesome. 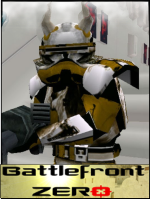 You completely put the BF2 pistol anims to shame. I look forward to seeing how people use this. I would say, to comment on the video, to make the lower-arm bones(the ones attached to the wrist and elbow) not arch up so much(decrease it) and perhaps maybe make the elbows jerk a bit down with every shot, adds more realism. 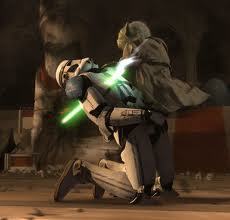 You can refer to how republic commando fires the pistol. DarthD.U.C.K, you never cease to amaze me , great job. These would go good with Padme, that's how she shot in Ep1 a lot. Great work! Tantive IV troopers would so benefit from this, I realized. not that I had any trouble adding them, but why do you ship them unmunged?